Welcome to lesson 4 the topic is on volume. 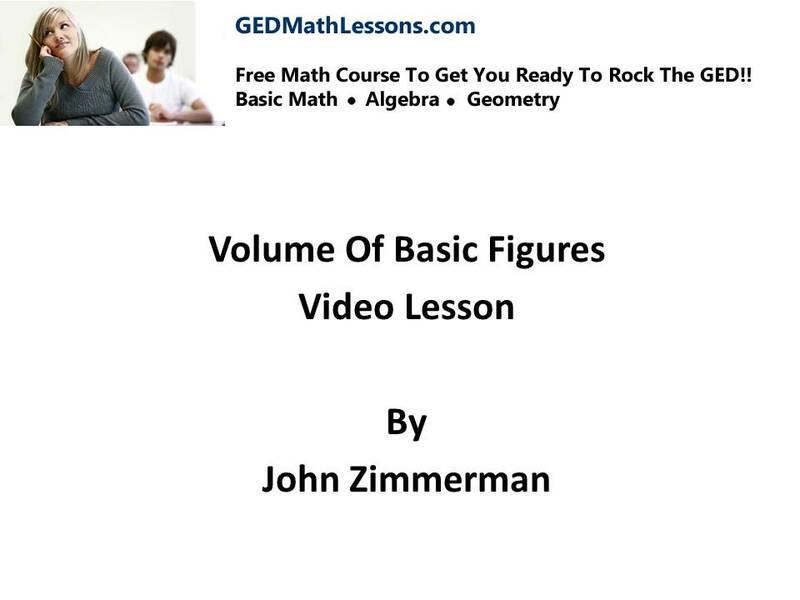 Finding the volume of basic figures is very much like finding area and surface area. However the big difference is volume represents how much “stuff” we can fill into a figure/object rather than area where the concept is “wrapping” an object. Also the units of measure for volume is different than area so be careful with your solutions.